HAS were at Health and Safety group run event Working Well Together (WWT) in conjunction with the HSE last Friday (15th June) with focus on Asbestos In Soils. 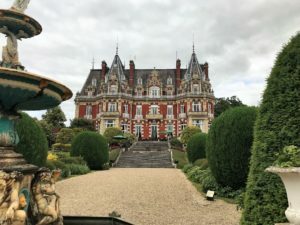 The fully booked Asbestos in Soils event was held at the fantastic Chateau Impney venue in Droitwich. One of our directors, Jamie Perkins-Best presented on the topic as part of the half day event which was fully booked and well attended. The event was held at the lovely Chateau Impney venue in Droitwich and was fully booked.